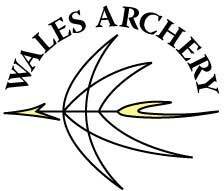 The Welsh Archery Association (WAA) was established in October 2000, it was formed by merging the North Wales Archery Society (founded in 1953), South Wales Archery Society (founded in 1951) and the Welsh Archery Federation (formed during the early 1970s) into one national region. 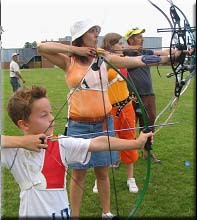 The WAA is affiliated to the national governing body of archery, viz. the Grand National Archery Society of Great Britain and Northern Ireland. The WAA target squad and team events are sponsored by the Sports Council for Wales. You may have tried archery on your holiday, at a fete or one of the ‘taster’ sessions which are run all over Wales and have now decided that you would like to learn more. There are over 60 clubs in the Association, 11 of these clubs are in north Wales, 3 in Powys and the remainder are in the south so there must be a club near you. Archery is a sport for all — you can join a club from the age of 8 – 80 years, yes there are still archers shooting in their 80s! The WAA has one longbow champion in the 60+ age group. 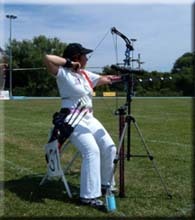 Archery is one of the few sports that encompasses all, there are no gender, ethnic or religious barriers, and can be enjoyed by the disabled (see photo) and the visually impaired as well as able-bodied people. Once one person in the family has joined and enjoyed the sport it is not long before other members of their family join them and we actively encourage the whole family to enjoy the sport. The WAA and its clubs are run by volunteers – we have no paid staff. At the moment the majority of the Welsh Clubs offer target archery but we also have many clubs dedicated to field archery. Target archery is an Olympic sport, whilst field archery is gaining in the popularity stakes with several Welsh archers taking part in international events. At the present time Wales is proud that it has a large percentage of archers in the GB field team. But you may not have aspirations to be in a team but you are just as welcome. It could be that you may be just looking for a recreation or hobby rather than a competitive activity but this is also catered for in all the local archery clubs who provide facilities from beginners to champions.